Helena Lincoln is here to meet each of your automotive needs by providing friendly service, precise attention to detail and, of course, a superb selection. So whether you're in the market for a new 2017-2018 Lincoln model, a used car, a used Lincoln car or SUV, a replacement car part or you just need quick auto service, be sure to make our Helena, Montana dealership your first and only stop. We always say here at Helena Lincoln that the only thing better than inspecting and experiencing that new car smell on a new Lincoln MKC, Lincoln MKX, Lincoln MKZ or Lincoln Navigator is to test it out on the road. 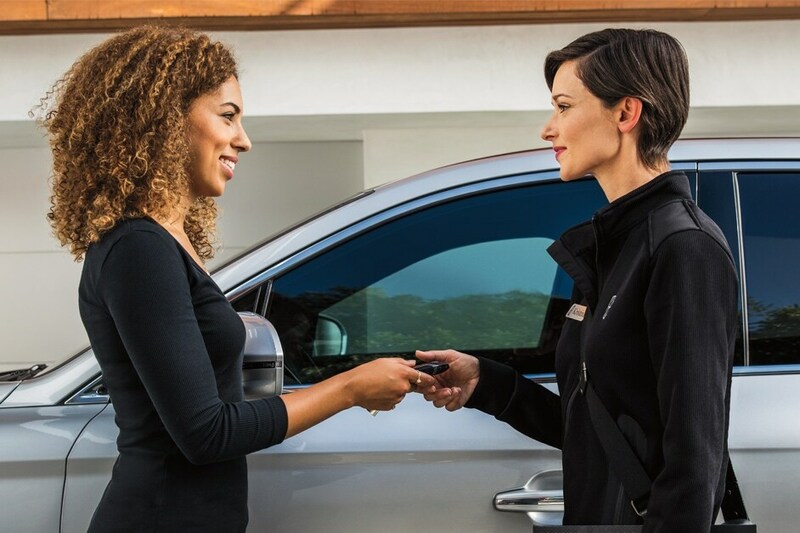 Our highly knowledgeable and supremely friendly staff will help you work through all aspects of any new 2017-2018 Lincoln model, like the Lincoln Navigator, Lincoln MKS or the Lincoln MKZ Hybrid Rest assured, you will feel completely, 100% informed when it comes times to make a decision. If you're looking for value, but perhaps aren't looking for a new car, that's perfectly fine. We certainly understand. You might be looking to head on a big trip, or want to treat yourself to something different. No matter what it is, the savings can be had via our collection of used vehicles andpre-owned Lincoln cars. You will find at our used car dealership in Helena that we have an extensive selection of well-maintained used cars, trucks and SUVs by Lincoln as well as many other popular makes. They come in many trims and variants, and will keep you, and your bank account, happy. So, you've found the vehicle you most desire. You want to go home in it. We want you to go home in it. But, all the details must be sorted out when it comes to auto financing. That's where our car loan and Lincoln specialists step in. We're here to help you by going over every option clearly, and will work hard to find the right plan for you. We want to make your dreams of ownership happen, and this is all part of the Helena Lincoln experience we strive for. In order to ensure your complete satisfaction (even long after you've driven home your new car) Helena Lincoln staffs an onsite car service and repair department that proudly serves drivers from Helena, Butte, Clancy, Great Falls, MT and Missoula, MT. Thoroughly trained inside and out to know your Lincoln MKC, Lincoln MKX, Lincoln MKZ or Lincoln Navigator, our technicians are provided only certified Lincoln parts when making repairs, ensuring your car runs as efficiently as the day you first took a seat behind the wheel. What else does Helena Lincoln have to offer? Aside from expert knowledge in everything automotive, we simply love serving you. So come see us today, conveniently located at 3365 Hwy 12 E, Helena, MT, 59604. For step by step navigation to our dealership, click for dealership directions. Or give us a call at (406) 495-2790, we're always to here from you! Be sure to bring your questions, and be ready for answers!